Dialogic Healing -Madison Omholt, Ph.D.
Madison Omholt PhD, LMFT, SEP is a licensed Marriage and Family Therapist (LMFT) who’s been studying, practicing, and teaching the art and science of holistic transformation in individuals and couples since the mid-1980s. He holds an MA in Marital and Family Therapy and a PhD in Healing through Dialogue, which is a holistic approach to growth and the reawakening of love in relationships. 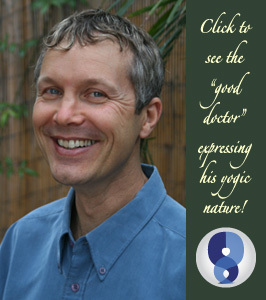 As a 25-year practitioner of the yoga and meditation traditions, Dr. Omholt has a developed capacity for communicating the essence of the peace, wisdom, and healing potency held in these aged approaches. He is a trained Somatic Experiencing Trauma Practitioner (SEP) and is adept in facilitating the neurophysiological release and reintegrative process of this modern and highly-effective naturalistic healing methodology. Madison has a genuine presence that combines a warm sensitivity with a quiet caring power. His versatile personality and kinship with incongruent joy provide for a joviality and a comfort even during difficult periods of change. He brings a personal willingness and a developed ability to journey with you through whatever hidden depths and turbulent emotions that you might find yourself up against during this period of growth in your life. His work is a great source of joy for him. Seeing numerous people from all walks of existence and assisting them in the blossoming of their lives and relationships, is deeply rewarding.